(Family Features) There's more to managing your money than paying your bills and successfully avoiding overdraft charges (although those are definitely steps in the right direction). Effectively managing your money takes time and planning, but the payoff may be a stronger financial future. Create a budget. Some people avoid making a monthly budget because they think they don't need one. However, having a clear idea of the money coming in and going out of your bank account each month can help you make better spending decisions. A budget doesn't have to be complicated; it can be as simple as a spreadsheet that lists your monthly income and expenses. Be sure to consider long-term debt, like student loans, and treat your savings account as a payee you owe each month. Track your spending. In a similar vein, it's a good idea to see where your non-bill-related spending goes. For example, you may stop by the grocery store more frequently than you realize, and each of those trips is likely going to cost you more than if you limited it to just once or twice a week. Many banks and credit institutions offer charts and graphs that break down your spending so you can see exactly where your money is going and use that information to make adjustments. Research big purchases. What constitutes "big" may vary depending on your circumstances and financial status, but regardless of the dollar amount, doing some due diligence before purchases is a good idea. The average millennial will do 4.6 hours of research before buying a big-ticket item like a mattress or car, according to a survey conducted by OnePoll on behalf of Mattress Firm. Millennials are also likely to seek input from others, with one in five consulting four or more people for their opinions on a purchase. "Doing research before making a big purchase can make all the difference," said Timothy Mayes, Mattress Firm's senior manager of eCommerce merchandising. "There are several resources available such as online reviews, blogs and even guides on the best time to buy that can help save you money on larger purchases. If you find yourself overwhelmed with too many options, recommendations from friends and family are the best resources to help you narrow down your choices." Prepare for emergencies. If a single unexpected event would cripple you financially, it's a good idea to build an emergency fund that could help you weather through a storm. 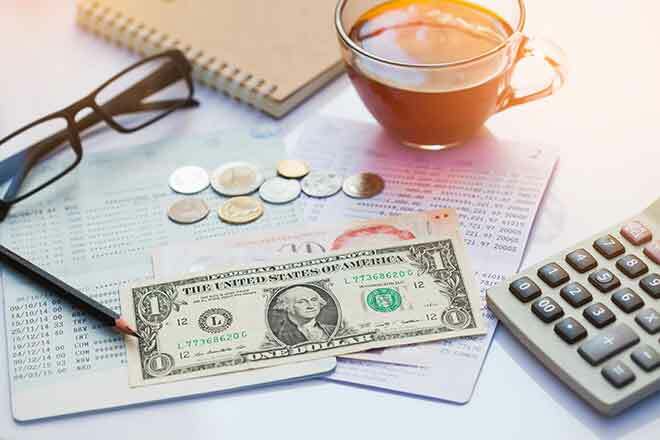 A job loss, accident or illness would substantially alter your income, expenses or both, so having at least a few months of salary stashed in savings could make a major difference in how long that unfortunate scenario affects your life. Finance purchases responsibly. Building credit takes time and responsibility, but if you don't ever borrow money, you won't have a chance to earn the rates reserved for exceptional credit holders. Financing a moderately sized purchase, such as a mattress, is a good starting point. It may be out of reach for a cash payment, but the balance you carry could be paid in a reasonably short timeframe. To build good credit, always make payments on time and make monthly payments larger than the minimum payment - which is usually just the interest - so you're actually paying down the principal. Following these tips and taking advantage of product sites that offer resources and information on a potential purchase may aid in your long-term financial health. Find more information at MattressFirm.com/blog.